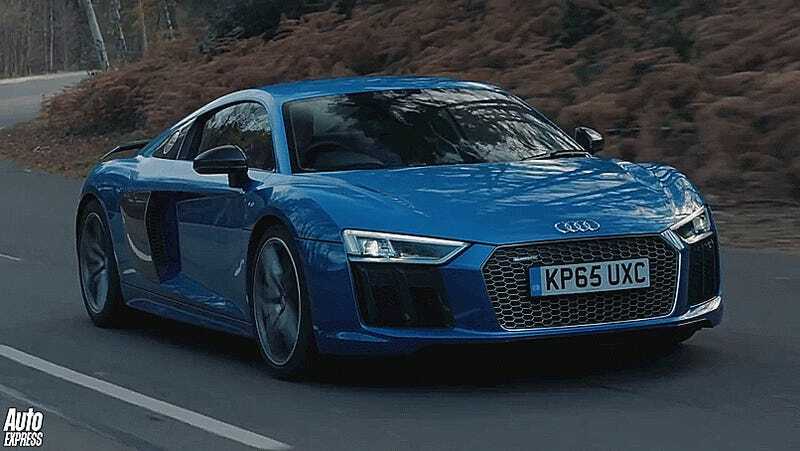 Can The Audi R8 V10 Plus Top The Porsche 911 Turbo In A Drag Race? An Audi R8 V10 Plus and a Porsche 911 Turbo drive into a drag race... and one completely destroys the other. No, that wasn’t the punchline to a joke. It actually happened. Porsche came out with the new 911 Turbo and Turbo S last year (not to be confused with the other models that have turbo options), and the Turbo S recently went up against the Audi as well. But the base Turbo model got its chance this time, putting its 540 horsepower up against the more-powerful Audi. The first seven minutes consist of breaking down the driving quality of each car, to which the Porsche loses out on engine volume but wins as far as its ability to be a more practical daily driver. If you’re short on time and just want to see the race, head to about 7:00 in the video. It’s pretty wild.